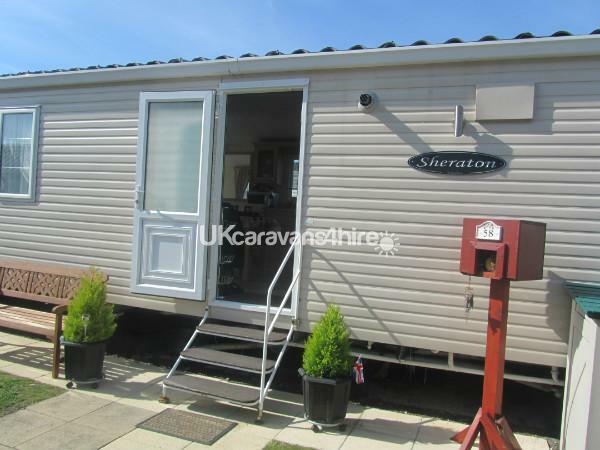 Our Bluebird Sheraton is a five star caravan to complement Rockley Parks 5 star achievement award. 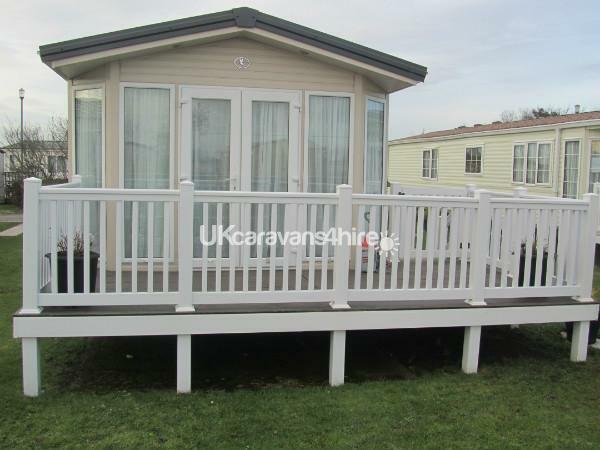 The caravan is on very flat ground in a central position, for easy access to all amenities and all views. There is parking space for 2 cars. The picturesque park has outstanding views of Purbeck Hills, Poole Harbour and Rockley Park beach, Poole town is only 5 minutes away. On site you will find something to do for the very young to the elderly, there are indoor and outdoor swimming pools, also bowling green, mini golf, tennis courts plus a full entertainment programme, and why not visit the luxury spa and treat yourself. 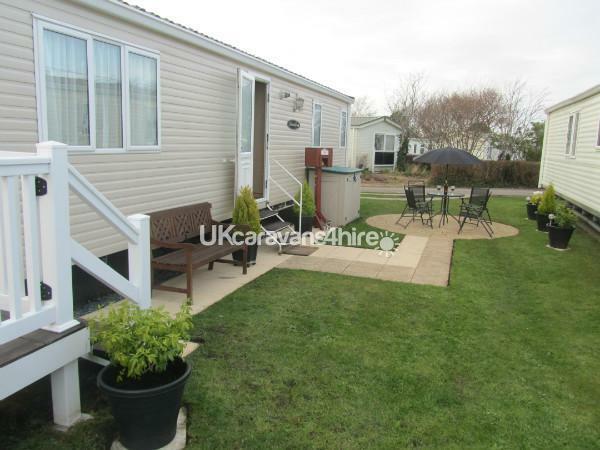 Our caravan is fully central heated, has 2 bedrooms and can sleep up to 4 people. Main bedroom: this room has a king size bed with fitted mattress protector, and fully fitted wardrobes with loads of cupboard and drawer space, it also has an en-suite. 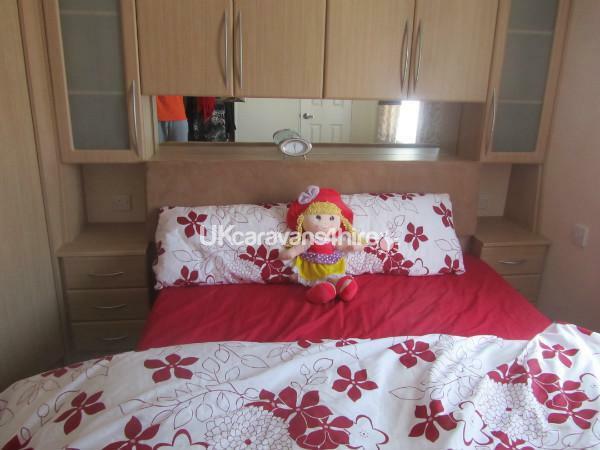 Second bedroom: this has twin beds with fitted mattress protectors, fitted wardrobes and cupboard space. Bathroom: the bathroom has a walk in shower. Toilet and sink with a vanity unit, above there is a shaver plug with light. 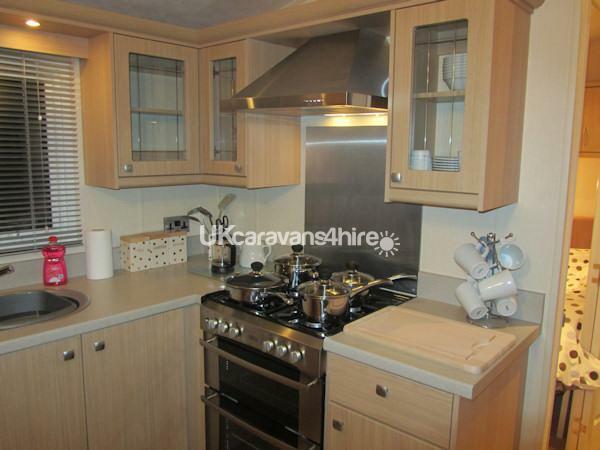 kitchen: a spacious kitchen which is fully equipped with everything you will need for your holiday e.g. 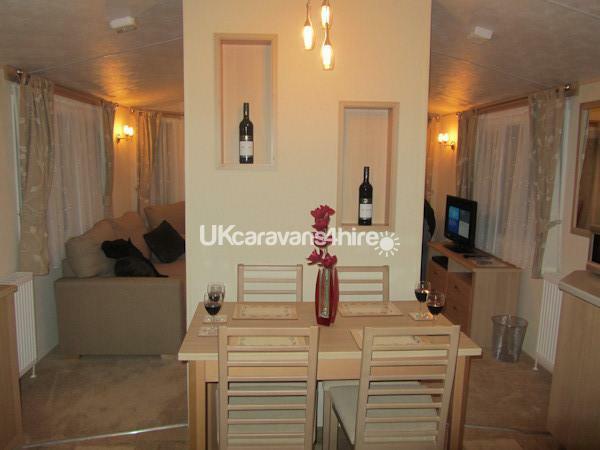 gas cooker, microwave, toaster, large fridge and freezer, plenty of cupboards space and a seating area for 4 people, there is also an iron and ironing board available. Living room: the living room has free standing furniture comprising of a 3 seater settee, and 2 relaxing chairs. 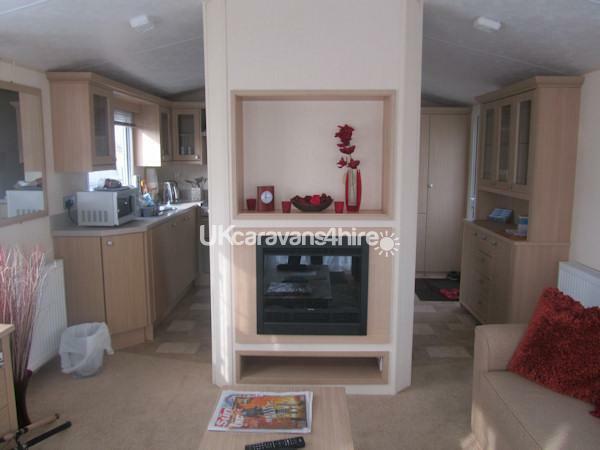 It also has a flat screen TV, DVD player, coffee table and a gas fire that when lit is beautiful. 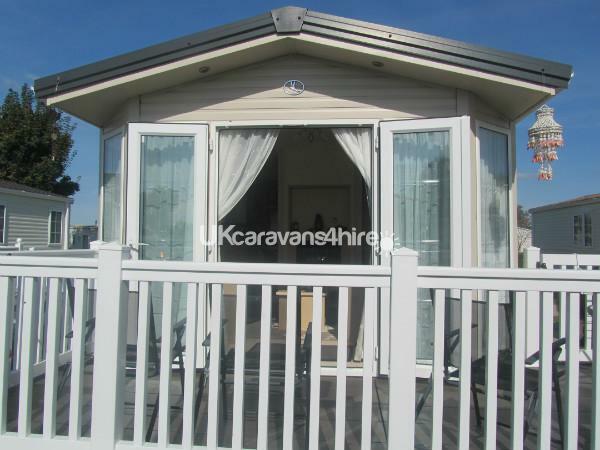 At the end of the living room there are patio doors that lead out to a veranda, which is equipped with patio table and chairs, a BBQ is also available. Please note: that bed linen is not provided so please bring your own. Entertainment passes are not included you can purchase these from Rockley Park reception. A deposit is required to secure your booking and the balance is to be paid 6 weeks before your holiday.